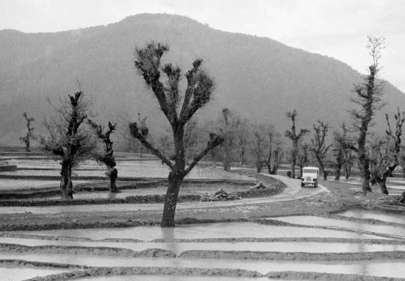 This picture sows a jeep of the UN Military Observer Group in India and Pakistan coming down a typical Kashmir road. The observers were on their way to the cease-fire line, where they were to investigate an incident. 1955.